A home is more than brick and stone and wood and nails and cement — there’s a spirit to the place that’s unique to each and every property you’ll visit as you shop for the right one. As I’ve told you many, many times before, buying a home is part brain — planning a purchase based on neighborhood, square footage and so forth — and part heart. There’s a dimension of home buying that’s like falling in love, it’s hard to put a finger on, but when it’s right, it’s just… right. But, like with love, so many times the right one isn’t perfect. Often, in fact, first or second time home buyers are limited to a pool of homes that are far less than perfect and they’re left having to choose between a home that’s ready to move into, but incredibly small, or one that will meet their needs as their family expands, but needs considerable work. Since writing the piece on FHA 203(K) mortgages, I’ve been thinking about this decision that I know many of you are facing basically blindly — and I decided that I’d do what I could to help. Although what figures and advice I can provide are based on my regionally limited experience and national averages, I hope that what I can offer will help to better inform you before you take that leap into the unknown. Maybe that’s a lot to hope for, but I don’t think so. I’m a big believer in going into a real estate transaction armed with as much knowledge as possible. That way when you find The One, you’ll not run the other way because of the ancient heating system — and then spend the rest of your life remembering that home as the one that got away. This first installment is meant to tackle the big stuff. There’s no possible way I can run through all the potential problems you may find, but I’ll cover the common ones people encounter. Throughout this series, we’ll talk about both cosmetic and structural, big and small — but I’m going to make sure you know the difference, as best I can without actually being there. Here we go. When you first approach a house, the way it sits can tell you a lot. Does the roof look straight? Does it have crisp lines? Are there cracks in the foundation? If so, these can be signs of trouble to come. Go inside anyway, roof problems can be fixed, as can foundation issues, but be prepared to spend a pretty penny. You’ll be able to tell if your problems start in the roof or in the floor by walking around. Do the floors feel a little springy? Do they appear to roll or seem to be higher or lower in spots? These may indicate foundation issues or very minor structural problems that need to be addressed. If the floor is solid and the walls are straight, the chances are good that the roof’s problems are limited to the roof — and although a pain to access, this is often an easy fix. What It Can Cost: There’s almost no limit to what foundation and structural repairs can cost. That’s the bad news. Sometimes they cost more than the house. Others may cost a hundred dollars or less. The appearance of severity will not dictate the cost — sometimes things can look really ugly and cost almost nothing to fix. What to Do: If you’re still interested in the property, call in a structural engineer for a structural engineering report. These very thorough reports are typically included in your inspection period and can be a reason for canceling a contract, so if you’re pretty determined to buy a particular home go ahead and put it under contract, pending structural engineering report. The report usually costs a few hundred dollars and can literally save you tens of thousands of dollars. Make sure to specify to the engineer the areas that you’re particularly concerned about so he checks the home thoroughly. Roofing materials are vital to keeping the rain out, so it’s important to check them out completely when you’re looking at your new home. A metal roof can provide protection for a long time, but asphalt shingles and clay tiles are prone to problems as they age. If they’re starting to discolor, are missing pieces or asphalt shingles are curling, that roof is at the end of its life. 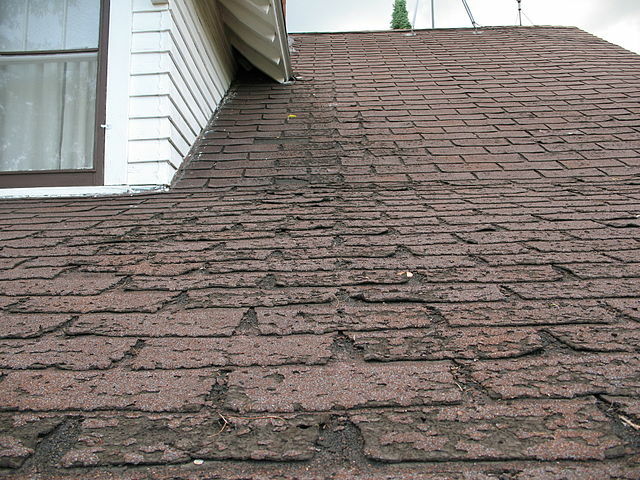 If the roof is covered in asphalt shingles, find an edge and count the layers as best you can (sometimes gutters make this impossible), then divide by two. Roofers typically double the shingles up along the edge for extra protection — if there’s more than one layer it’s going to be a very expensive roof because it will require you also remove the existing shingles. More than two layers of asphalt shingles spell fire hazard and most insurance companies will not insure you. What It Can Cost: Simply recovering an asphalt roof with a new layer of asphalt shingles is your cheapest option, if it can be done. 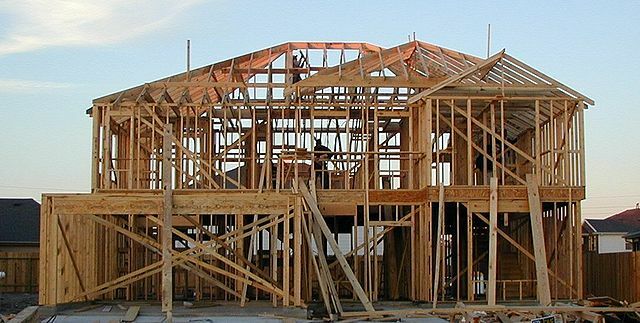 According to RemodelingCalculator.org, the national average will run between $5,751 and $8,077, including labor, for a 1,600 square foot home. The same home that needs a tear-off (that is, the shingles have to be removed because there are already two layers present) will cost closer to $7,104 to $9,977. That includes the dumpster and removal, though, so at least you won’t have to worry about disposal. What to Do: If you’re considering a home that obviously needs a roof, or has evidence of leaks on the interior ceiling and your home inspector thinks it needs a roof, ask the seller to replace it. They might say no — you can never tell — but it’s worth giving it a shot. They know their roof is shot, chances are good they’ve prepared for someone to ask for that very repair. You can also ask for a substantial discount and do it yourself, but frankly, a roof is such a messy job that it’s just better to not have to live through it if you have a choice. Walking into a home with a malfunctioning heating or air conditioning system — or worse, one that’s severely outdated — can be more frightening to a first time home buyer than a house with a bad roof. Is it leaking gas? Will it cause a buildup of carbon monoxide? 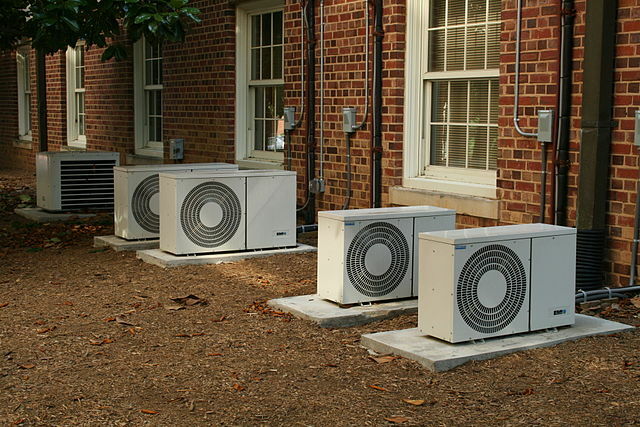 Is the air conditioner going to break down during a particularly swampy summer? The truth is that old style systems can sometimes work as well as when they were new, provided you can still get parts. I know of plenty of boilers, floor furnaces and wall furnaces that are still plugging along. They’re unsightly, for sure, but if you’re looking at a bargain home, they can help you save a bundle up front since they’re going to give you plenty of room to negotiate. What It Can Cost: Upgrading to a modern HVAC system will set you back several thousand dollars if your home has no duct work and will take a week or more for the project to be completed, but if you have the cash to pay for it yourself you can often save much more than that on your purchase price. The cost of installing HVAC in a home will vary based on how much ductwork is needed, where the units will be located, what size of space is being heated and cooled and other factors, but you can expect it to run between $6,000 and $12,000. Plan for this cost to double if you’re looking at setting up a zoned system (you’ll have to have two entirely different systems installed). What to Do: Like with a roof, asking for an HVAC system isn’t outside the realm of normal for most areas — so wrapping it into your home purchase is a possibility if you’re cash poor. If you expect to pay cash for the system, have a couple of HVAC installers out to bid the job before you make an offer to ensure that what you want to accomplish can be done on the budget you have in mind. Your Realtor can give you a best guess to the future value of your home with heating and air, based on current market conditions, to help you decide what price to offer for the house you’re considering. If you recall, the house I purchased last summer needed an electrical update in a big way. The juice was running through several sub-panels in a crazy knot of circuitry that could scare the hardiest of home buyers away. Otherwise, it was a pretty good house, really. There are more houses like this than you’d believe — and the sad thing is that electrical is easy. You just call the guy and the thing happens. It is very hard to insure a house with a troublesome electrical system, but many companies will give you 30 days to get it straightened out, provided you already have an electrician lined up and can provide a bid to prove it. What It Can Cost: Like anything else, the cost of an electrical update will be based on the size of the new electrical service (anywhere from 100 to 200 amps is pretty typical) and the size of your home. Although I couldn’t find really good national figures on this, Angie’s List claims it can cost $8,000 to $15,000 to completely rewire a 1,500 to 3,000 square foot home. 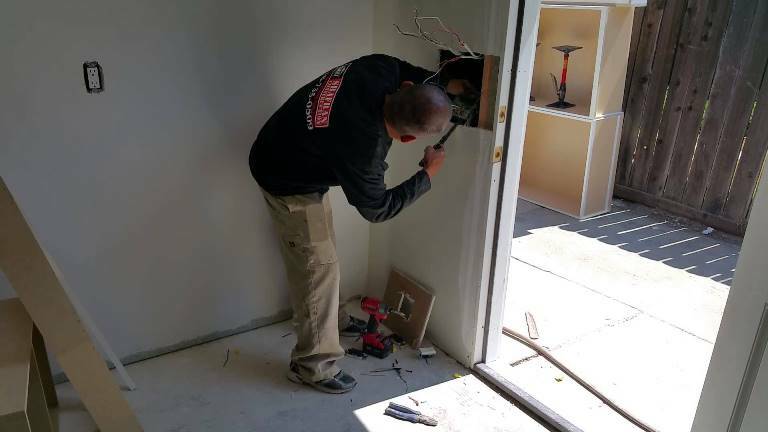 What to Do: You don’t always, or often, need a complete and total rewire — in many cases your electrician can inspect your existing wires and, if all looks to be functional and safe, simply update the system at a significant discount. Get a couple of bids (or call an electrician your agent really trusts) before you make an offer on the home of your dreams so you know exactly where you should be coming in price-wise. Updated electrical won’t make your house worth more in dollars and cents, but it will make it easier to sell down the road. You can ask the seller to update the system, but this is not a slam-dunk repair like a roof or an HVAC system. Oh, boy. These are by far the worst things you can deal with as a homeowner, so if you’re looking at a home (probably a repo) with these issues, you’d be best to run away screaming. If you’re braver than me and have the courage of a lion, though, you can call a plumber and have old water lines replaced or underground drains dug and corrected. But trust me when I say this, you do not want to be living in the house when you do this, so build in ample time for these repairs — at least a week beyond what your plumber says it will take. Even if the plumbing is functional, but questionable, and you intend to replace it with something newer, don’t move in until it’s done. Don’t do it. Just don’t. You can thank me later. What It Can Cost: Improvenet.com gives the cost of repairing a sewer line at between $2,194 and $6,200; the cost of installing new pipes is estimated to be, on average, around $1,100, according to HomeAdvisor. Unfortunately, I couldn’t find a better national source, but that sounds low to me. 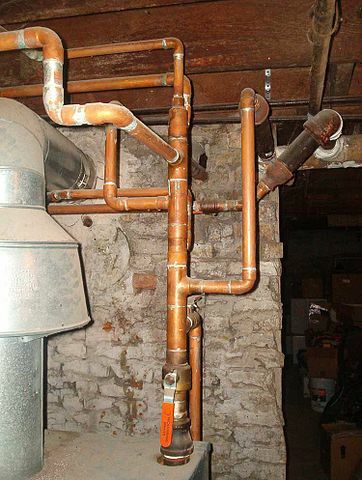 When I asked my plumber, Plumber Fred, about replumbing at my old house, he bid it at $675 per bathroom and kitchen. So, there you go. That was 1,200 square feet with a full basement underneath, in the very inexpensive Missouri Ozarks. My guess is that a total replumb is going to run you more in the $2,000 range for a bathroom and a kitchen with everything exactly where it sits, but that’s just a guess based on the cost of other things I’ve seen while writing this. What to Do: Honestly, don’t buy a house with these kinds of problems. I mean, do what you like, but if you want my advice, don’t do it. Just… don’t. This is a nightmare waiting to happen. If you don’t have water running at the time of inspection, for example, you have no way to know if the toilet is working, if the shower is working, if the dishwasher is working. Buying a house with no water is like buying a car with no transmission. You’re missing a big part of the system that drives too many little things to just ignore it. If this house is at a bargain basement price where you can afford to replace everything that might have water in it, including the water heater and the outside faucets, then by all means proceed with caution. But don’t say I didn’t warn you. These homes are best left to experienced remodelers. Ok, finally an easy one. You may look at a house and see that the vinyl siding has been blown off the back because of a storm or that there’s a big chunk melted where someone sat their grill too close to the house and think that it’s not that big of a deal. And it’s not — but it kind of is. You need to think about the siding of your home like its skin. That siding protects the delicate innards from the elements. The siding takes the beating that your home’s skeleton can’t bear. So it’s kind of important. If you buy a home with a siding issue, no matter what sort of siding it has, you need to have a plan to fix it. This is not a situation you can let go, ok? What It Can Cost: The good news is that siding is actually pretty cheap, and certain kinds of siding are very easy to repair. Vinyl siding, one of the most popular types in much of the country, is a piece of cake. A small section, homeowner repaired, may run you a hundred dollars, if you have to buy the hammer and the nails and a nice tool belt and a cooler for your drinks. You get my point — it’s pretty affordable. This is not a cost to lose sleep over unless it’s a specialty siding like stucco, brick or stone. Those are rarely damaged, so we’re going to assume that in those cases you’re getting a custom quote for repair before you make an offer. 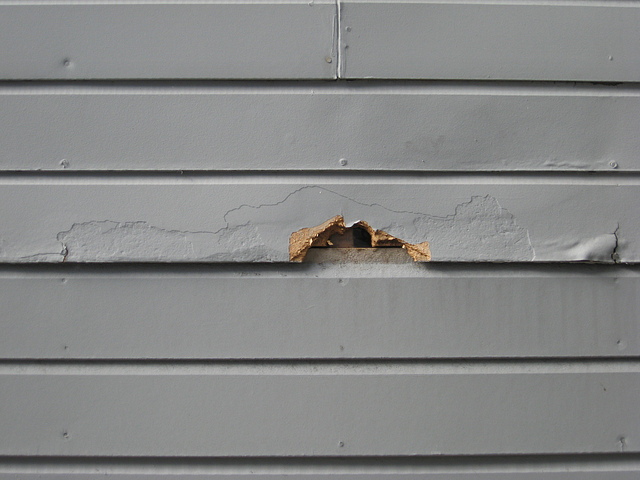 What to Do: If the damage is to vinyl siding and it’s a small section, buy the house! Trust me, you’ll be glad you did. Ask the seller for the repair, but if they won’t do it, don’t lose the house over it. Sometimes standard FHA underwriting will get twitchy about damaged vinyl siding and won’t allow a closing to happen until it’s repaired. Your agent will make this clear to the seller and nine times out of ten, they’ll give in and fix the siding for you. If they don’t and you’re getting a heck of a deal, get written permission (this part is really important) and fix it yourself. The repair has to match the old siding, so plan accordingly — that may require a custom order or trips to many hardware stores before you find the right siding. Caution: if the house doesn’t close, you’re going to be out that siding and that weekend, but if it’s definitely not going to close otherwise you might as well try as not. Buying a home no longer means blindly relying on a lot of experts, instead you can be an informed part of the conversation from the very beginning. It’s important to arm yourself with as much knowledge as possible about home construction and what can go wrong from a homeowner’s standpoint (do not watch HGTV!) before you step into that first house. Understanding common problems with homes can help you make the best decision when you find the right house, without hesitation. Sometimes the problem you’ll find is a great big hole cut in the floor for no reason, sometimes it’s a house needing a rewire — but when you can tell the big things from the little ones, you’ll feel more confident about moving forward with an offer on the house you really want.